Jigar Patel has been promoted to head of key accounts while Chris Pedlar becomes a key accounts manager. "These enhancements to the mortgages key accounts team give us an excellent platform to deliver truly value-add activities to our strategic partners." United Trust Bank has restructured its mortgages key accounts team which sees Jigar Patel promoted to head of key accounts. Chris Pedlar has also moved from his BDM role to that of a key accounts manager. United Trust Bank says continued investment in developing the sales and key accounts teams will help it target further growth in 2019. Throughout 2018 United Trust Bank grew its mortgages and bridging sales team with a number of hires, including Mike Walters who was appointed to head of sales to lead the combined team. Buster Tolfree, commercial director of mortgages, commented: “We have established a strong track record as an innovative, introducer-first lender focused on building long term, meaningful relationships with our broker partners. “We have exciting plans for 2019 and these enhancements to the mortgages key accounts team give us an excellent platform to deliver truly value-add activities to our strategic partners. 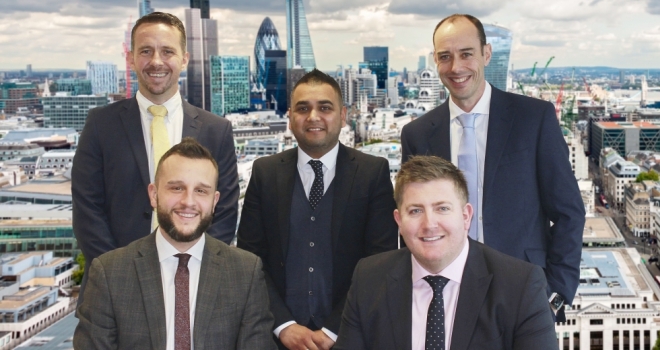 We have assembled a team of high calibre professionals who together will drive the next stage of the Bank’s evolution as a specialist mortgage lender."